This was taken one evening after a long day’s surveying in the field at Rossnaree. The sky is ominously dark, warning of an imminent downpour. Hopefully there will be few of these during the dig … but this IS Ireland! This entry was posted on June 29, 2010 by Conor Brady. 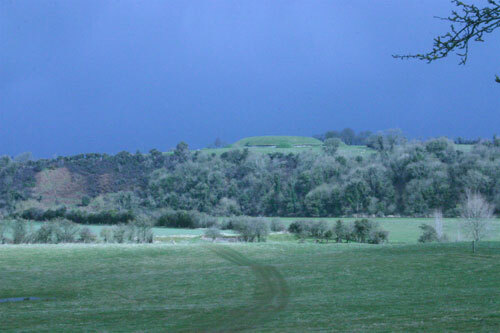 It was filed under Archaeology, ireland, River Boyne and was tagged with Archaeology, Brú na Bóinne, Ireland, Knowth, passage tomb.